Undertaking work on your property can be a stressful ordeal, to say the least, however, this needn’t be the case! For when a standard skip doesn’t quite cut it, choosing a Roll On Roll Off Skip from Adlington Skip Hire will allow you to get rid of large volumes of bulky materials reliably. 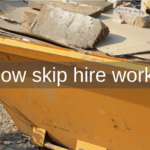 Whether it be Skip Hire Preston or Skip Hire Wigan, the Roll On Roll Off Skips are an efficient way to get rid of waste from your construction site and can save you time, effort and money. The Roll On Roll Off Skips, or RoRo Skips, are the largest skips that we have to offer for Skip Hire Wigan. They are supplied in various sizes to make it easier for you to find a container that has the ability to store items securely. When compared to the standard skips that we provide for Skip Hire Wigan, the RoRo Skips have a greater capacity and are specifically designed to have rear opening doors that enable you to load the container quickly and easily. 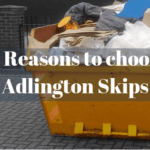 If you’re looking to get the most out of your Skip Hire Chorley, you’re in capable hands with Adlington Skip Hire. No matter how much or how little waste your project generates, we consider no project to be too big or too small. Our Roll On Roll Off Containers for Skip Hire Chorley are suitable for storing any non-hazardous materials, including rubble, garden waste, furniture, glass, paper, cardboard, plastic and metal. What sizes are RoRo Skips available? The Roll On Roll Off Skips for Skip Hire Bolton are guaranteed to provide you with more storage space and allow you to dispose of unwanted items whenever you need to. With the RoRo Skips, you have the opportunity to get rid of immense volumes, without compromising safety standards on site, so be sure to choose a suitable size for your Skip Hire Bolton! As with any of the domestic and commercial skips that we have available, the RoRo Skips available for Skip Hire Bolton are priced competitively to provide you with exceptional value for your money. Despite being the smallest RoRo Skip, the 20-yard container provides enough storage space for 220 bin bags of waste. To provide you with the peace of mind that you have enough space to store waste, we supply the 25-yard RoRo Skip which is suitable for 275 bin bags. The 30-yard containers are one of the biggest skips that we provide at Adlington Skips, offering suitability for almost any commercial or industrial project and holding 330 bin bags reliably. Our 40-yard RoRo Containers are the biggest skips that we provide. Offering more space than any of the other skips that we provide, the 40-yard containers can hold up to 440 bin bags of waste, making them extremely useful for large, bulky materials! 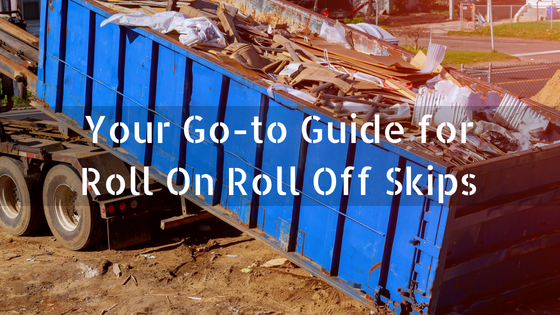 How can you benefit from RoRo Skips? RoRo Skips are specifically designed to move immense volumes of waste in one-go, making it easier for you. In one sense, hiring a Roll On Roll Off Skip for your Skip Hire Preston will provide you with a convenient solution for disposing of waste. 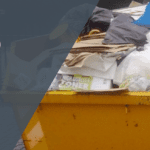 Skip Hire Preston enables you to get rid of waste quickly and easily, not only providing you with a hassle-free service but allowing you to stay clear of any expensive penalties or fines. With any of the RoRo Skips that we have available at Adlington Skips, you can expect to receive an unrivalled service that is tailored towards your exact needs, making our skip hire services more dependable. The same applied for Skip Hire Leyland, our team of professionals are always on hand to provide you with any advice that you need to ensure that you receive the best value for your money. When it comes to accommodating larger volumes, Adlington Skips specialise in Skip Hire Leyland and can deliver the RoRo Skips to a location of your choice, at a time that works best for you; so if you’re looking for a safe solution for waste disposal, you’re in capable hands!  Find out more about Skip Hire Leyland or any of our other services today by calling us on 01257 474 747 or Request A Free Quote Here!